I’m sorry it didn’t quite work for you! Could I ask what operating system you were using when you were recording the video? Really nice concept! 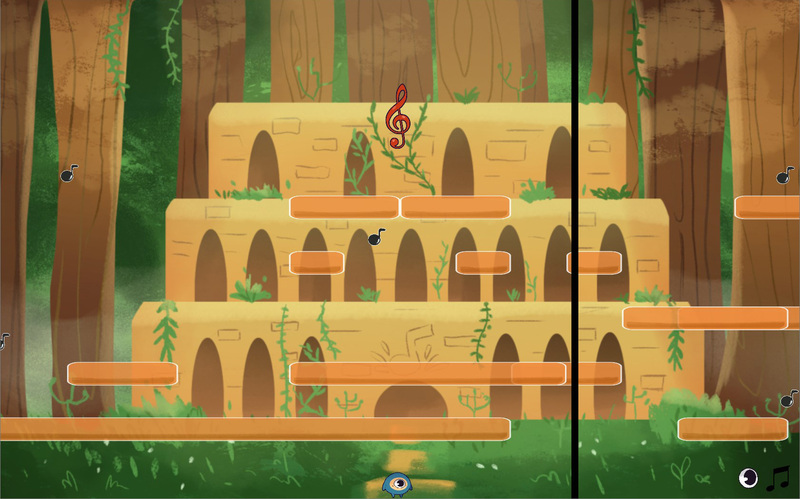 It's cool that the games achieve to make good puzzle designs with music interaction. One thing that wasn't clear was when I was able to move platforms, and where I wasn't. I eventually figured it out, but it would be nice if the game shows clearly that the level can be edited (maybe by changing platform colors). It's short, but a really good prototype! Well done! Thank you for your nice comment and your feedback! Thank you!! In the future we will be sure to work on making everything clearer to the player :). That’s a pretty good idea too! 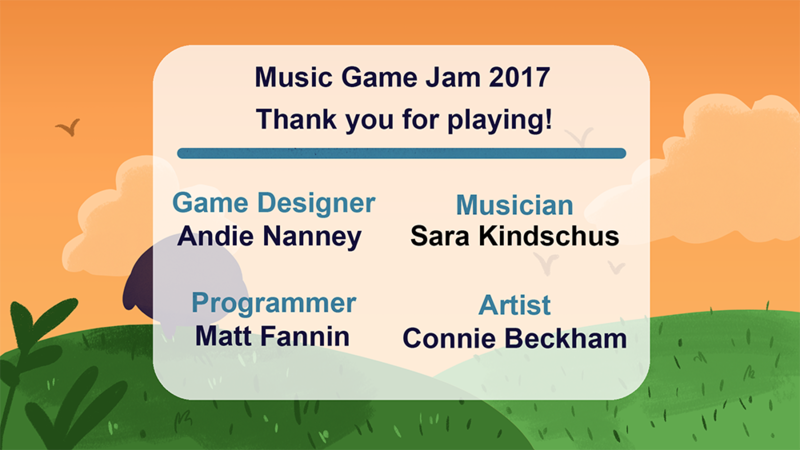 I hope you enjoyed the game once you were able to figure it out, thank you for playing it!! Thank you so much for the feedback!! I’ve never heard of lumines, I’ll have to check it out (: And I’m sure our artist appreciates the praise!! She really is amazing haha. 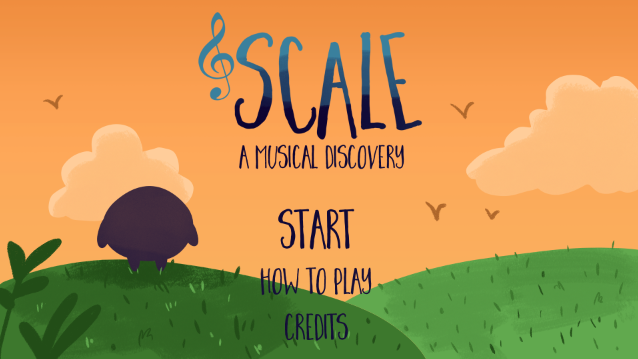 Very nice visuals and I really like how the platforms represent the notes and the mechanic of moving them to change the music is cool. The music was a bit low and hard for me to hear so I failed the level. :P Movement was a little hard because it felt like the character is moving on grid paper so it took some getting used to, I assume because it tries to match the places where the platform can snap to. Overall, neat idea and nice graphics. Thank you for such a detailed review! Some of the issues you mentioned with the controls especially I don’t believe we were so aware of, so your feedback truly is helpful. (: I’m sorry you couldn’t finish the first level! If you’d like to see the second one, Zachalope64 on youtube recently uploaded a video of him playing a bunch of games from the jam, including ours! It should be in the first episode in the series, I believe at the time I’m writing this he has 3 total? 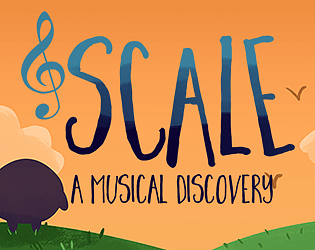 Regardless, thank you for playing Scale! I like the idea. Feels a bit like the character's jump is delayed. Wasn't able to get past the second level because I couldn't manage to jump anywhere beyond the first platform. Not really sure what the bar moving across the screen was for, I'm guessing just to sorta visually indicate music? The graphics and audio are nicely done. Hi! Thank you for leaving written feedback, it looks like the controls are something we need to work on! I would like to ask, though, are you aware of the game’s general mechanic? Due to time constraints it was difficult to make it clear in-game, though we did do our best to explain it on the game’s page. It sounds like you played the first level without moving any of the platforms, is that the case? I’m glad to hear it, I hope you enjoyed the game! Very cool mechanics! I thought I'd be good at this game but I'm terrible at it ^_^ I like the visuals and the music, but the character movement is a tad to slow and clunky for my taste. Nice work!